Is your tool box in desperate need of replenishing? Are you still using the same sealant you were using twenty years ago that has seen better days? 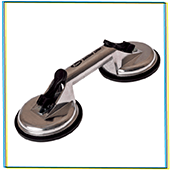 It could be time to give it an overhaul and here at Reddiseals we have the right glazing accessories you need to do just that. We’ve put together a list of the workshop essentials we feel every joiner needs. There’s nothing worse than starting a job and finding out you don’t have the right router bit for that particular project. We have a wide selection of router bits on offer and specify which of our seals they’re best suited to. 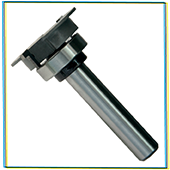 All of our router bits are Tungsten Carbide tipped with an adjustable ball bearing guide. An assortment of silicones and caulks is a necessity and it can be difficult to know which is the best one for the job. As well as the wide range of these products we stock, we’re always on hand to advise you on which is the best one for you – just give us a call or use our chat function on the website. Wood repair is big part of any joiners repertoire, so we offer a whole selection of products that assist with this, including big brands such as Metolux, Timbabuild and Hodgson. The range includes suitable solutions for the smallest of repairs to larger scale projects and we particularly recommend both the Timbabuild EHB60 and the Metolux Two-part Décor. 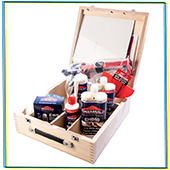 We’ve currently got a limited edition Timbabuild Start Kit which includes everything you’d need for wood repairs! Sometimes it’s the small things in life that count and we’ve got plenty of products that make life easier. 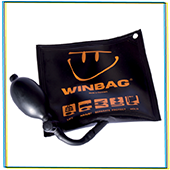 For example, the Winbag is a great way of adjusting the level of the window, extremely helpful if you’re doing it alone. Easily pumped up and then deflated to pack away when you’re finished. Or Silicone Spray, which acts not only as lubrication but also allows provides protection from oxidisation and corrosion. And mistakes happen, so it’s good to know you can clean them up with some Heavy Duty Big Wipes! As well as everything we’ve already mentioned, we’ve also got the staples you’ll need, such as putty knives, paper wipes, masking tape, pulley screws and glass lifters. The kind of thing you need for every job, but sometimes don’t get round to replacing! Do you agree with our list or did we miss something out? Let us know by emailing us here.